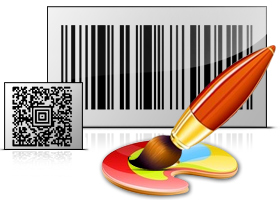 Get a wide variety of professional barcode labels with barcode generator!!! Barcode generator Software designs and prints barcode labels, tags and stickers with support to standard Linear and 2D barcode fonts. Utility allows user to generate barcode labels using advance barcode settings. Barcode software creates expertise barcode labels that are easily scanned and printable to major barcode scanners and printers. Software is useful in wide application areas including warehouses, manufacturers, distribution centers, event organizers, retail firms and many other commercial sectors all across the world. Barcode software is useful to design barcode asset tags, stickers and labels with different shapes and size in linear or 2D barcode font standards. Software facilitates Batch Processing Series feature allows to generate multiple copies of labels with different barcode and text value. 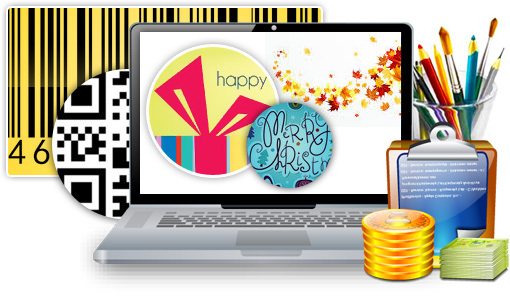 You can easily send your created barcode labels, images to the specified email address. We provide different types of proficient barcode software to design and print barcode labels, tags and stickers for retail business, inventory control, healthcare, distribution industry and other commercial business industry. 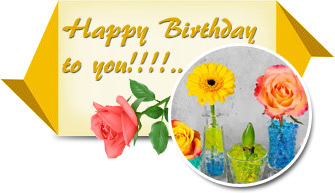 We offer various card and label designing software for windows including birthday card designer software, ID Card Maker software, business card maker software, greeting card designer software to design and print different types of cards and labels. 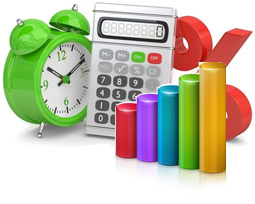 We also provide business software that will help you to streamline your business process. Software helps to manage business transactions, sales/purchase records, customer-vendor details and other useful business information in accurate way.